The world is becoming more personalized as businesses and brands move closer and closer toward a one-on-one interaction with each of it’s audiences. Web sites have already stored cookies on your computer to collect information about your interests as you search the web and browse web sites, but can it get even more individualized? In the1990’s DigiDay.com coined the term programmatic marketing. Programmatic marketing became the new term for using tools, data and ad buying that makes the online marketing experience cater to individual needs, wants and tastes through automated systems manned by experienced marketers. You may have noticed that when you look at an item on an ecommerce store such as amazon you start to see ads on social networks and websites that show exactly what you were looking at. That is programmatic marketing at work. Marketing comes in many forms from ads to online networking as well as email campaigns. So it’s only natural that programmatic concepts would find their way to your inbox. At first, marketers began individualizing by adding the recipient’s name then began the “if this than that” email triggers. For example, if you sign up for a newsletter you get an email for confirmation, once confirmed you get a welcome email and if you signed up for a freebie or purchased a product you get emails accordingly. The next phase of programmatic emailing included advertisements geared towards upselling products or services that interest you right in your email newsletters. Perhaps you subscribe to a poetry newsletter and like other sites they may need to create revenue from ad sales so your newsletter may start including ads on poetry workshops, publishing and events from their sponsors maybe even in your neighbourhood or close by. Now you click on one of those ads say for a big event and sign up for their newsletter updates. You then decide to look at reviews and similar events. Suddenly you have an email all about the benefits of the event you signed up for along with great reviews from past attendees. 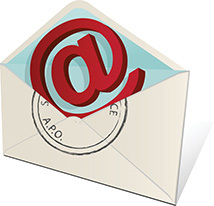 Welcome to the newest phase of programmatic emailing. How does programmatic emailing work? Publishers of programmatic ads can now not only see what you were looking at on their site but what you searched for in connection to their offerings. This then gives them the chance to further their interactions with you in an effort to sell you on their better service or product . This is done by using strategically placed cookies in advertisements, media and on specific pages. These cookies then track you to continue bringing you the ads and information the publisher perceives to be of use in connecting with you. These cookies give great insight into what potential, past and current clients are looking for which gives businesses huge sales opportunities. How is programmatic emailing useful for my business? If you have an ecommerce store or offer any product or service, programmatic emailing could be a great next step for you to explore. It is common for people to shop around for similar offerings and look up reviews before committing to a purchase especially if the price is substantial. Often times it takes at least 3 points of contact before that targeted customer is ready to purchase. These contact points used to be harder to create and with digital advertising has seen huge growth and an increase in online sales. Making these contacts more personalized makes the buyer feel more appreciated and special. Better yet by emailing the potential buyer while your offering is still fresh on their mind increases your chances of making that sale. What does the future of programmatic emailing look like? With all the new devices on the market publishers are searching for ways to reach audiences in real time. Unfortunately, cookies do not move from one device to the other, but the ubiquitous email address is. We check them constantly on smartphones and tablets not just laptops and desktop computers any more. With email alerts to get our attention at just the right time, programmatic emailing is on the rise. Magna Global released a report on the global state of programmatic advertising in which they forecast the market to grow from $12 billion in 2013 to more then $32 billion in 2017. Businesses are having great success with their more personalized targeting campaigns that they’re not only increasing budgets but hiring whole teams centered around programmatic marketing. For those who can’t afford to hire a whole team, agencies like blackDot.ca are here to help get you going in the right direction. Programmatic marketing is continually growing and evolving to make each step in the buying process more personal. Where it will evolve to is a great place for publishers and marketers to explore with the help of customer data. With programmatic ads being explored on mobile devices in real time it’s an exciting road to follow. Will you take that next step to make the sale? Contact blackDot.ca today to get started!